Wow. I finally got around to reading the much-discussed copy of game design company Valve's employee handbook, which has been posted on the Internet for all to see. Probably to put all other handbooks to shame. And, I am impressed. In a nutshell, it seems that Valve has taken some key principles of Laissez-Faire Capitalism and applied them to one company's corporate culture. Valve is a flat organization. For real. No one 'tells you' what to do. You don't 'report to' anyone. As in a truly free society, it is a group of individuals who are not beholden to anyone, who are free to pursue their own ideas in a rational, voluntary fashion. Employees choose their own work 100% of the time. 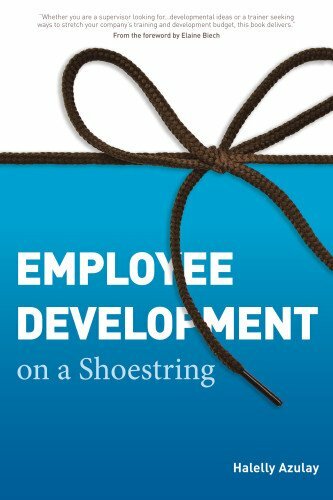 Not like those other companies I described in chapter 11 of Employee Development on a Shoestring (e.g., Google, Atlassian, 3M, Facebook, and Twitter) that give people the choice for a percentage of their time. Valve employees are fully self-directed - they are not forced to follow the whims of others. What’s interesting? What’s rewarding? What leverages my individual strengths the most?" Work-life Balance. Valve promotes a healthy work-life balance and effective time management. "While people occasionally choose to push themselves to work some extra hours at times when something big is going out the door, for the most part working overtime for extended periods indicates a fundamental failure in planning or communication. If this happens at Valve, it’s a sign that something needs to be reevaluated and corrected." (p. 17) This means that employees act with enlightened, rational self-interest, being productive and taking care of themselves to ensure they can remain productive. Supply and demand hiring practices. "Hiring well is the most important thing in the universe. Nothing else comes close. It’s more important than breathing." (p. 44) Now that's a pretty unambiguous statement! Valve wants people who are highly collaborative and who possess skills that are 'T-shaped': broad-range generalists with a deep expertise in one area. And everyone is involved in the hiring process, since there are no 'managers'. Everyone is accountable for the results that are produced by their peers, so everyone has a vested interest in helping to ensure that every hire is a good fit and successfully acculturates. So while working in their own rational self-interest, all employees have an inherent interest in the success of others with whom they are interdependently linked to achieve a shared goal. Finally, I liked how Valve also included an Epilogue in which they disclose what they're NOT good at, such as onboarding new people, mentoring, and disseminating information internally. These can become project opportunities for those employees who choose them as points of focus. Or they may just be 'warnings' to those who may feel compelled to complain about their absence, as in, "we told you so!" What do you think - how similar is this to your company's employee handbook? How would you like to work in this kind of environment? What else do you think about this? I'd love to have a dialogue in the comments, below!